Leading Manufacturer of material handling cranes from Ahmedabad. 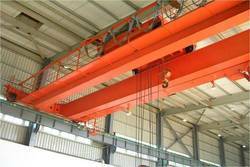 We hold expertise in serving our clients with superior assortment of Material Handling Cranes to our clients. Our overhead crane can be customized as per the requirement of the clients, are tested on stringent quality grounds for ensuring better flawless results.